Alert! The shortlists for the 2012 M-Net Literary Awards have been announced, with the exception of the shortlist for the Film Award which will be released shortly. Last year marked the 20th anniversary of the M-Net Awards, with Ivan Vladislavic and Ingrid Winterbach taking away the English and Afrikaans prizes and Ncedile Saule and KJ Sekele winning in the Nguni and Sotho categories respectively. Books LIVE member Cynthia Jele took home the Film award, which is reserved for books that show the potential to be developed into screenplays. This year’s shortlistees include community members Henrietta Rose-Innes and Finuala Dowling, both nominated in the English category. The winners will be announced on 19 October at an awards ceremony in Johannesburg. The winner in each category will receive a cash prize of R50 000. Good luck to all the shortlistees and especially to Rose-Innes and Dowling! M-Net has revealed the shortlists for its prestigious M-Net Literary Awards, the only South African book awards that honour well-crafted novels in all our official languages. The winners, who will each receive a cash prize of R50 000, will be announced on Friday, 19 October in Johannesburg. “Judging by the number of entries for this year’s M-Net Literary Awards, it would seem that South African readers are spoilt for choice and that the printed word is holding its own in the digital age,” says Hettie Scholtz, convenor of the M-Net Literary Awards. A total of 85 titles were submitted this year – an indication that the South African publishing industry and in particular the novel, is fit and healthy in spite of severe pressure from economic and electronic spheres. The judges of both the Afrikaans and English novels noticed that authors still favour historical fiction in various guises and that a longing for authenticity is apparent in other strong and credible settings. 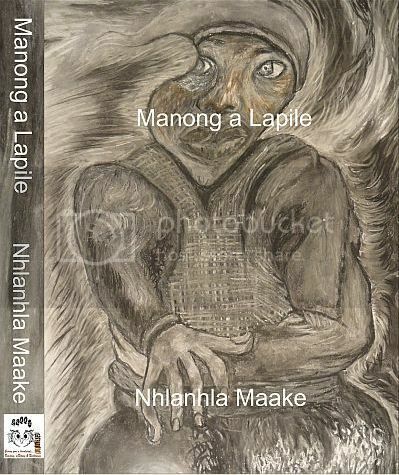 It is specifically apparent in novels situated along the West Coast that convincingly refutes the negative stigma sometimes associated with regional literature; and indicates how this genre deserves pride of place in South African literature. Other discernible patterns in this year’s submissions were a refreshing engagement with questions of migration, forced or voluntary, and with transnational African identities. There were a number of novels that shone with humour, with plots that provided insight into our various cultures and histories, crafted by authors who respect language. Their storytelling ability renews and enriches our views of life in the suburbs and townships of South Africa, past and present. Among the African languages entries, there was a strong focus on current social realities: the misuse of power, corruption pervading societies, the scourge of HIV/Aids, alcohol and drug abuse and the inhumanity of man to man. Many of these books also displayed strong narratives around questions of identity and self-realisation, discrimination, gender equality and xenophobia – noticeably the challenges facing young people in South Africa. Crime writing on the South African literary scene has showed signs of exponential growth in all languages and if a common theme were to be found in this year’s submissions, it would be self-reflection and introspection in a continuous search for the meaning of life. In addition to the top novels in each language category, the panel of judges also had to identify novels that showed potential to be developed into a screenplay for the film category. All the novels which were submitted for the main awards were automatically considered for this award, with the exception of novels with existing screen rights in place. While many of the books in the English and Afrikaans language categories displayed strong narratives which could be portrayed vividly on the big screen, the universal appeal of these stories, the practicality of the adaptation, as well as potential buzz and box office success, played a significant role in the final selection for the film award. M-Net will reveal the final shortlist for the Film Awards in due course. More loud cheers! Congratulations to all. On a personal and slightly obsessive note: I have signed copies of all the English shortlisted books! Oh wait, I think Michiel still has to sign my Lost Ground. Fingers crossed for Finuala and Henrietta. Fantastic list, best of luck to all. Congratulations to you all! A lovely list, indeed.